This site is run by the United States. All the information here pertains to the US perspective on world economic affairs. It does provides some useful facts but, overall, this site is very limited. This is a site for those studying the ASEAN as well as the Asian Crisis. It provides information on their policies, however information is very limited. This international magazine on economics, finance and current affairs provide a web site with information from their latest issue. However, most information is only available to subscribers at a cost. If the information you are looking for is not in the current issue, forget about it! Nonetheless, check this site regularly. The sites provide IMF reports into countries around the world, available for download. Unfortunately there are no longer statistics summaries on this site. This site provides statistics and reports on the United Nations Millennium Development Goals. It is a good site for information on contrasts in standards of living and the causes of inequality in the global economy. This particular part of the World Banks sites provide data tables for countries around the world. The “Schools” section of the site is also good in providing background for these countries aits country data section. The internet site of the WTO provides information on their policies. This is a good site for those that are completing assignments on such a topic. Statistics are limited to“Trade Statistics”. Purpose: The encouragement of economic research, especially the historical and statistical study of the actual conditions of industrial life. Seeking to promote high quality research in the broadly defined area of social economics, and to advance scholarly research and writing about the great questions of economics, human dignity, ethics, and philosophy. Professional organization devoted to economics as an observational science, using controlled experiments to learn about economic behavior. Free online courses from top 16 universities. Game Theory ECO159-leactures on game theory and strategic thinking by Prof. Ben Polak. Financial Markets ECO 525-lectures by Prof. Robert Shiller. 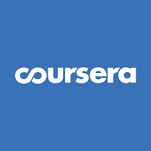 Free Online Courses from the World’s Top Publishers.